The relationship between Japan and Palau can date back to 1920, when Japan took over German colonies in the Pacific, including the Republic of Palau, the Federated States of Micronesia, the Republic of Marshall Islands, and the Commonwealth of the Northern Mariana Islands as we know of it today. The region became the Pacific mandatory territory under the League of Nations and Japan administrated it. Japanese administration lasted until end of the World WarⅡ, and during that period, Japan designated Koror as the center of her mandatory territory. Under its administration, the Islands of Palau witnessed economic prosperity: The Islands experienced rapid growth of Fishery, Agriculture and Mining. Canaries during the period were known as the most successful manufactures the Islands had ever experienced. 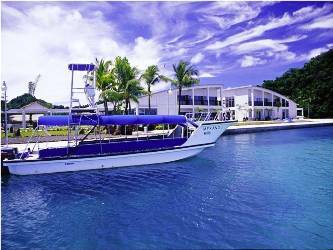 It should be noted that Palau could achieve economic self-sufficiency to a certain degree during the period. You can find modern cityscape of Koror through exhibition in the Palau National Museum. You can also see the historical heritages of the Japanese administration, including Asahi Field, the Belau Supreme Court building, and the Old OEK building in every corner of the downtown of Koror. Moreover, the era influenced Palauan culture. Modern Palauan language has many Japanese-derived words, such as “Daijobu”, “Okyaku”, “Denki”, and “Senkyo”. Several local cuisines like Sashimi, Nitsuke, and Oshiruko also originate from Japanese cuisine. The Japanese administration terminated in 1945 when the World War Ⅱ ended. However, Japan could maintain cultural tie with Palau, greatly owning to Japanese Palauan community. Japan acknowledged Palau at the 1st of October, 1994. It was when Palau declared independence from the United States. The two nations established diplomatic relationship as early as 2nd of November, 1994. Japan opened its embassy in Koror in 1999 and dispatched its first ambassador extraordinary and plenipotentiary in February 2010. In terms of Diplomacy, Japan appreciates the most cordial relationship between the two nations and regards Palau as one of its closest partners in the international arena. The two nations have enjoyed close economic relationship. Japan started disbursing grant for ports and other fishing facilities in the 1980s to spur fishery development of the country. 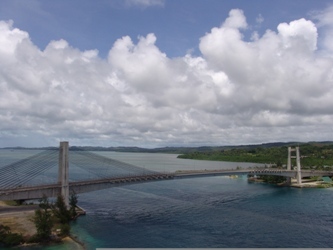 To date, Japan has granted several major construction projects such as the Japan-Palau Friendship Bridge, the terminal building of the International airport, the main roads in Koror. These major infrastructures eventually facilitate growth of the private sector of the Republic. Besides these grants from the Japanese government, investment from Japan has also greatly contributed to economic growth of the young island nation. The opening of Palau Pacific Resort and the launching of charter flights by Japan Airlines in the 1980s obviously triggered tourism boom of the country. However, what really enhances the best cordial relationship between our two island nations is not money but human interaction. Contribution of Japanese Palauan community to various domain of the republic is outstanding one. Many Palauan students successfully built their career and enlarged their vision through studying in Japan. 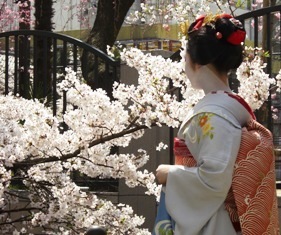 Countless young Japanese appreciated their genuinely valued experience while they worked as teachers, engineers, or diving guides in the heavenly islands. The close cultural tie fostered through long history still bridges between Japan and Palau. How can we strengthen our relationship? Japan envisions two things. Firstly, Japan is doing its very best to find ways to assist Palauan endeavor pursuing economic self-sufficiency and to gear our aid to Palauan own development strategy. For instance, Japan tries to diligently support Palau’s effort in dealing with the negative impact of climate change through providing solar energy generation system. Secondly, Japan aspires to maintain cultural tie between us. For instance, Japan is seeking ways to offer more opportunity to learn Japanese language, which has been a part of the Palauan culture. We are islanders, we share history, and we face common challenges. As a neighbor of the Pacific, Japan always wishes to be the best ally of Palau.